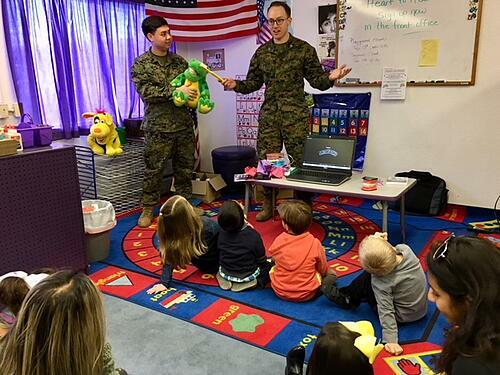 Students and parents from all 11 of our Operation Little Learners classes learned about the importance of Dental hygiene from Lt. Gluskin and HN Mygatt with 23rd Dental Company in Twentynine Palms, CA. 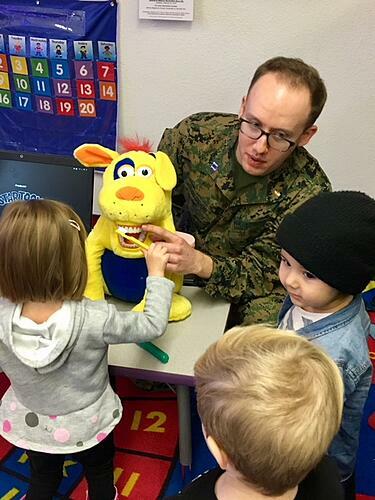 Our visitors from dental provided several hands-on learning activities to demonstrate the best ways to brush our teeth, the importance of flossing, and how sugar causes cavities. 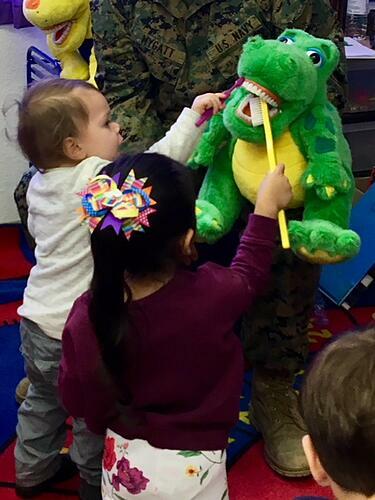 Participants picked up toothbrushes to help brush Dudley’s teeth, making sure to brush those teeth way in the back. 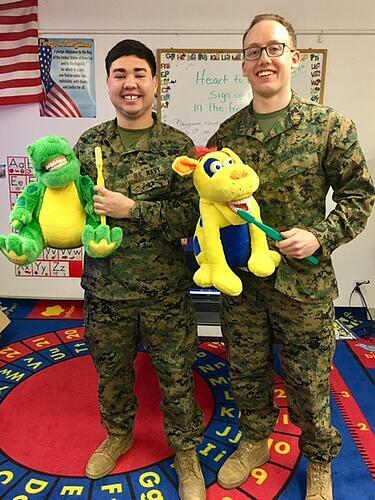 Some of our students even had the chance to act as teeth while our friends helped floss out all the leftover food from the day’s meals. We also learned what foods were good for our teeth and which foods should only be enjoyed in moderation due to their sugar content. 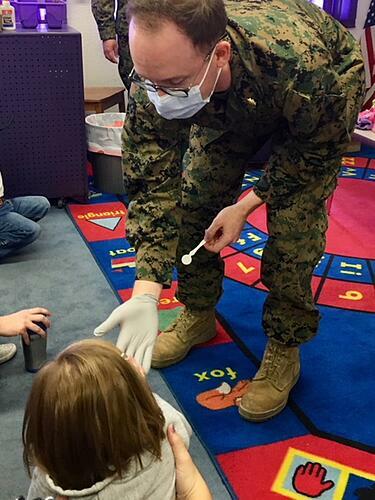 DON’T FORGET – Brush 2 times a day for 2 minutes to keep your teeth and gums healthy! 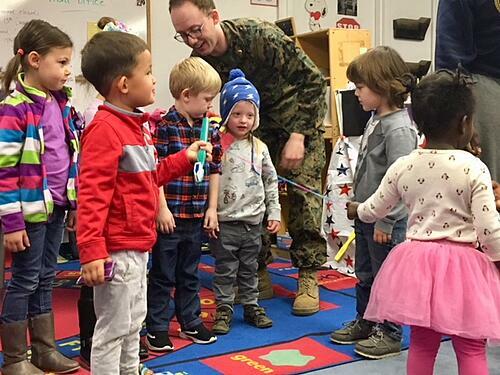 Stop by the Armed Services YMCA building 192 Mineral Street or call us at 760-830-7481 for more information about our Operation Little Learners Class. 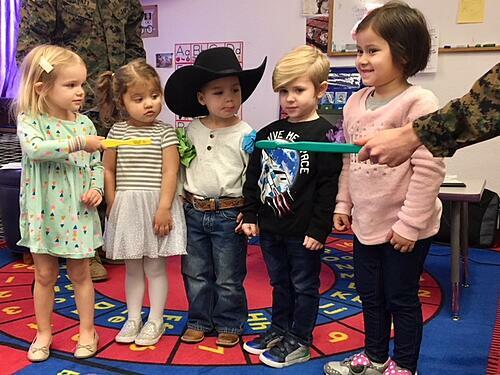 We would love to have you join any one of our Tiny Tots, Kinder Time, or Kinder Ready classes! You can also click on the “What We Do” tab at the top of our website to find overviews of all the services we offer.